It's been quite a while since my last post. I would like to wish everyone a Happy New Year. As a father of two young kids, there are many things you begin to appreciate more and more in the small events that were a part of everyday life before marriage, such as going to the movies. I recently was able to go on a date night and watch a movie. Boy did I miss the smell of movie caramel popcorn! I got to watch 2019's Golden Globe winner, Bohemian Rhapsody, and wow what a movie. I don't really critique movies much, which makes me a horrible person to go to for movie recommendations. I usually watch movies for entertainment purposes, getting a reprieve from everyday life. This movie got me more and more interested in Queen and the individual people within the band, so for a full day, was soaking up all of the Queen documentary and songs I could get from Youtube. I don't think I am the only one. Apparently, Queen's Bohemian Rhapsody song is on its way to 1 billion views on Youtube! Here is the official trailer below. The more I learn about the group, the more intriguing the story is for how this group was able to impact the world. If you are new to Queen, here is a quick ten-minute video of song highlights. Also, here is a cool documentary for people who have some more time. Anyways, what was the personal takeaway for me from the movie? We're four misfits who don't belong together, we're playing for other misfits. They're the outcasts right at the back of the room. We're pretty sure they don't belong either. We belong to them. 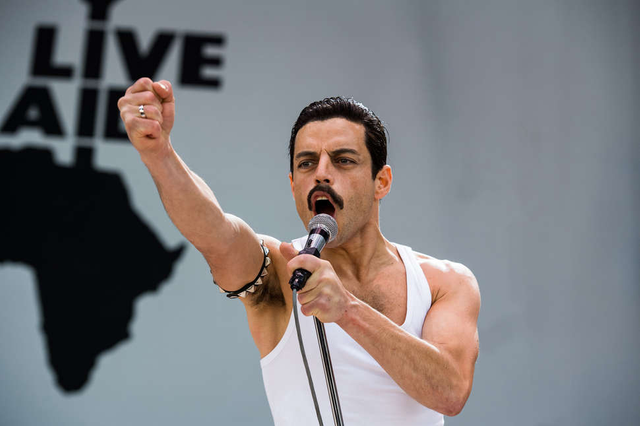 In the final scene, where Freddie is performing at the Live Aid concert, there is a small scene that panoramas the crowd, taking individual shots of family and loved ones: a son hugs his father. They may have been four misfits, but their songs were able to unite people without the walls of color, race, and nationality with their music and performance, all in a different way. What power! Wow, this is an interesting video (aside from his language). I will have to check out his other videos. Thanks for letting me know! Haven’t watch the movie yet but saw an article where Remi Malek won an award for this movie. Definitely wanna watch it in Kodi. I believe there were some conflicts between what critics said about the movie and what I think. This was a wonderful movie about a musical genius who put a smile on everyone that was close to him. Plus, the acting was superb! I definitely recommend this @viverridae! Great! I’ll put that in my watch list.